An android application, first of this kind, has been launched by Nishith Desai Associates which works on Android, Apple and Blackberry smartphones. This app is launched to share the content from the NDA official website with general public including clients. The name of the app is ‘Nishith Mobile’ and is readily available at app stores. 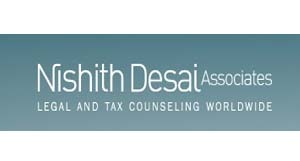 “As you know Nishith Desai Associates has always been at the forefront of technology and innovation. In an effort to make information and knowledge on legal, tax and regulatory subjects, more accessible to our viewers, we have launched a mobile application, Nishith Mobile.